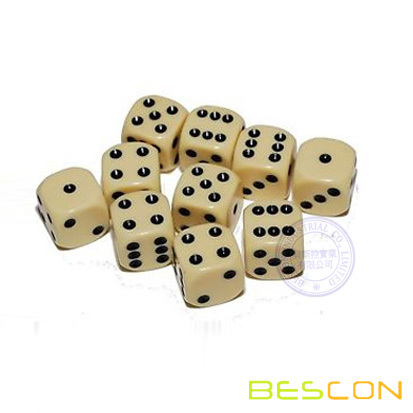 This Bone Color 6 sided die has black pips on a bone color Dice. These look great in the dark and give the look of real bone. If you like skulls these are the dice for you. 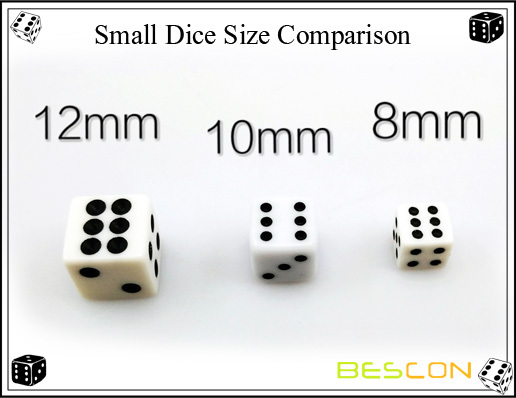 They are also good sized dice. These bone color dice toss, bounce and roll well. 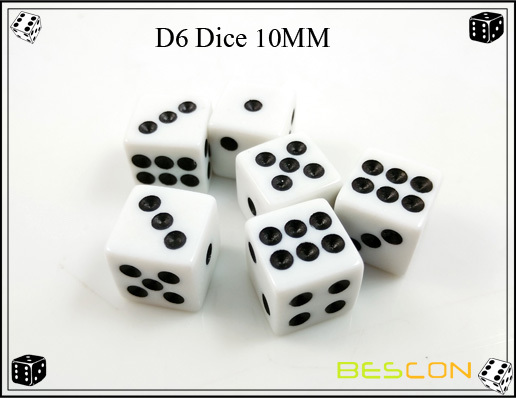 This great die machine is the easiest way to get a random 16.67% chance or 1 in 6 random number. These bone dice also have a smooth look and feel. They look great in the dark and tumble well. Rolls like a standard dice. Hold, shake and roll. This dice gives you a random number between one and six. 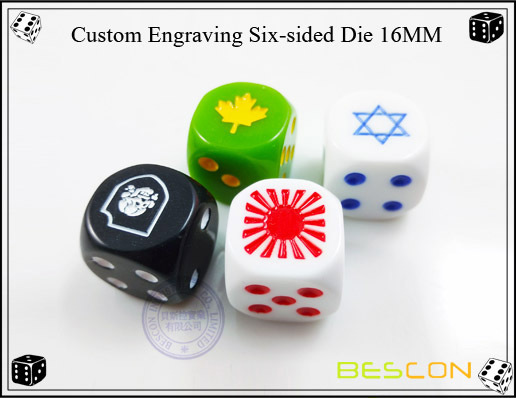 Looking for ideal Bone Color Die Manufacturer & supplier ? We have a wide selection at great prices to help you get creative. 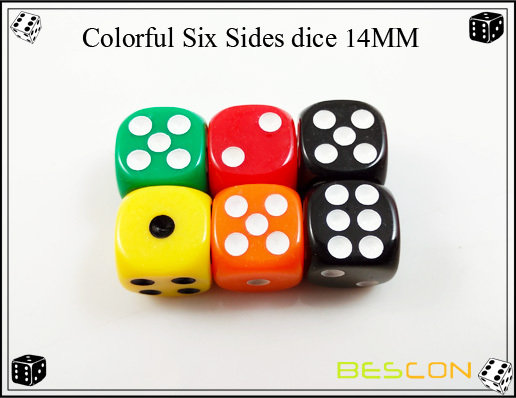 All the Six Sided Die 12MM are quality guaranteed. 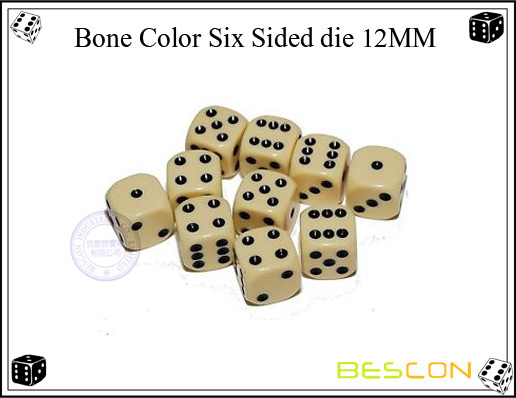 We are China Origin Factory of Bone Color Six Sided Die 12MM. If you have any question, please feel free to contact us.